Home / Cebu / Events / Plan / PLDT / PLDT Best Buy Bundle / PR / Telecommunications / PLDT bring Best Buy Bundle to Cebu! 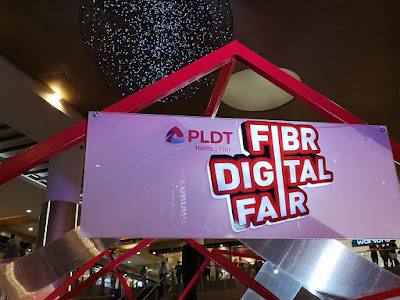 PLDT bring Best Buy Bundle to Cebu! Cebuanos can now enjoy the most powerful digital lifestyle bundle from the country's digital services leader as PLDT unveils the Best Buy Bundle at the Fibr Digital Fair! 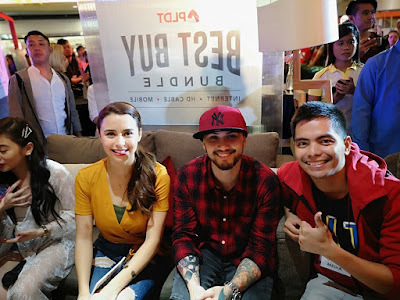 Special guests were present as well namely, Billy Crawford, Dimples Romana, Ella Cruz and Yassi Pressman. 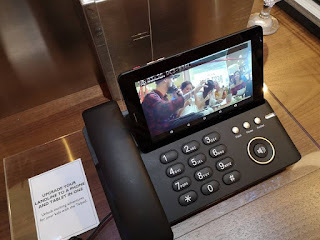 Best Buy Bundle enables customers to easily mix and match their unlimited PLDT Home Fibr, Cignal premium pay TV, and Smart mobile plans with the convenience of a unified bill. Customers also enjoy as much as Php11,300.00 worth of savings in a year, up to 10% off with two services, and up to 15% off when they mix and match three services. Enjoy a seamless digital experience! Together, this bundled service empowers subscribers to enjoy a seamless digital experience in and outside the home. PLDT's Home's unlimited Fibr plans enable families to enjoy the benefits of a SmartHome including worlds of entertainment through the Roku Powered TVolution, home security solutions like the home monitoring system Fam Cam, the cyber security platform Fam Zone and the multi-functional kiddie gadget Smart Watch. Cignal TV provides world-class entertainment with a diverse array of high-definition (HD) pay TV content and channels for all members of the family. Finally, Smart completes the trio by providing superior mobile data and voice services, together with the latest smartphones, wherever they in the Country!